Story Time is on Thursdays at 1:00pm for children ages 3 and up to school aged. Coding Club for grades 4-8 is on Thursdays from 4:30pm-6:00pm. 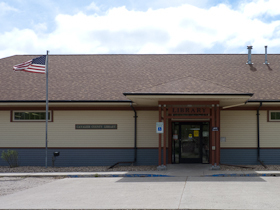 Library Board Meeting Wednesday, May 8 at 4:00pm in the library meeting room. Previous library board minutes are available upon request.